Life is so precious. The greatest gift of all is life itself but for me the gift of acceptance, which is signified by me receiving this beautiful Christmas Card has made all my dreams come true. My relationship with my loved ones means the world to me. Occasionally our needs have exceeded that love & with the best of intentions we have all got things terribly wrong. Our relationship is not perfect. Sometimes it can be unhealthy, we can be too close & over protective. Our true & deep love can occasionally be misguided. Finding the right balance is sometimes so hard to do. Our love is really special & to be cherished. This year has been the most spiritually uplifting year of my life. I found myself needing to make huge changes to my life which put our immense love at tremendous heart breaking risk. I continually questioned myself is it worth it, for what is actually in the end a huge leap of faith. I have been so lucky to be rewarded in so may ways. I feel blessed. There is a reason for everything. God moves in mysterious ways. Never let anyone steal them! Just live your dreams, the rewards can be amazing. May 2009 be everything you wish for. What a beautiful card. I hope one day my mom can see me as her daughter. May your dreams come true. And may 2009 be especially wonderful for you and yours. May 2009 be even more uplifting and spiritual for you. Hey Happy New Year honey :-) What a great card to get! The rewards can be amazing. It is a lovely card. I'm sorry I haven't been in touch. Hopefully next week will be calmer for me and I'll reply to your email. All my very best wishes for 2009! 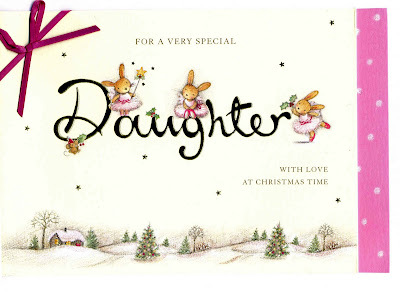 It's a wonderful card, such a special thing to recieve. May your dreams come true, happy new year Debbie! That you would receive that card doesn't surprise me because it's true! Not just to those who love you and gave it to you, but to many others the world over!